It was another weekend night spent across the border, this time with my work buddies. 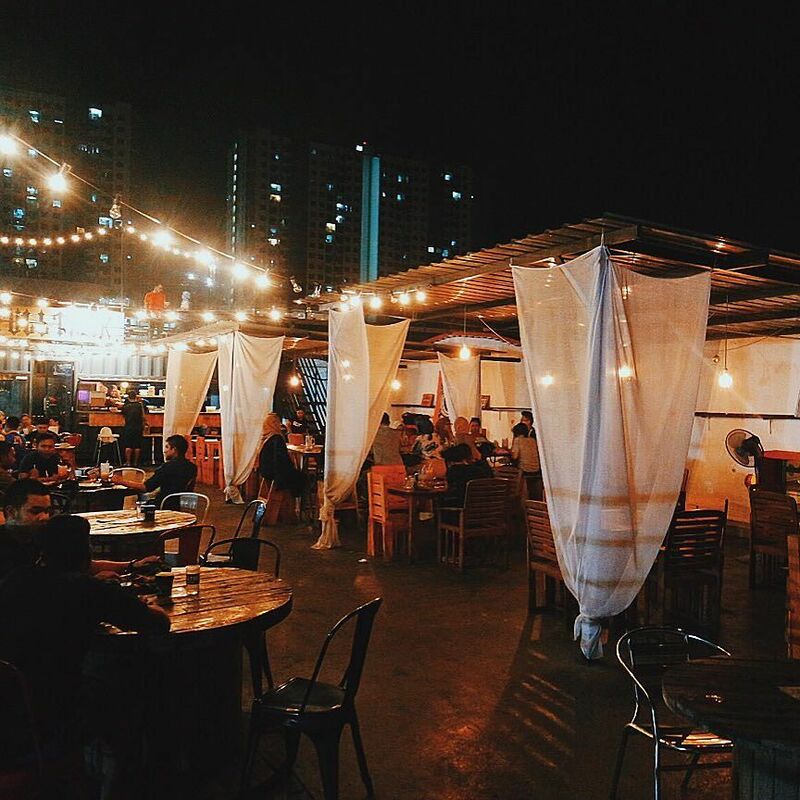 As usual, we're always looking for a new space to chill at and came across Kilang Bateri. With all the hype and photos I've seen of the place from my friends' social media accounts, obviously I was excited as hell. Unfortunately though, it was a battle of expectations versus reality and the latter won. 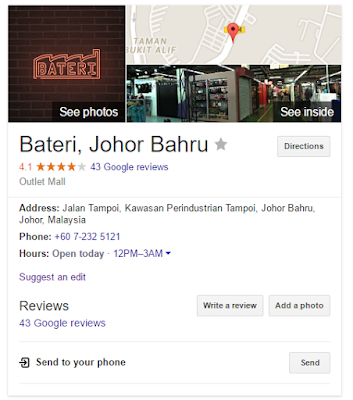 Disclaimer: If you were looking for a visitor's guide to Kilang Bateri, sorry to burst your bubble but this is extremely, extremely far from that. All that's here are photos of what we saw when we came. Literally. That's it. I know I sound angsty, that's because I am was. I blame Google. As you can see, they said the place was gonna be open til three in the morning. We came before midnight, and almost everything was closed. Not even closing- but closed. This isn't the first time my heart's been cheated by Google. The first and most heartbreaking one was definitely Perth's Adventure World though. How could you? Telling me the theme park's open when it was freaking closed for Winter. Sigh. 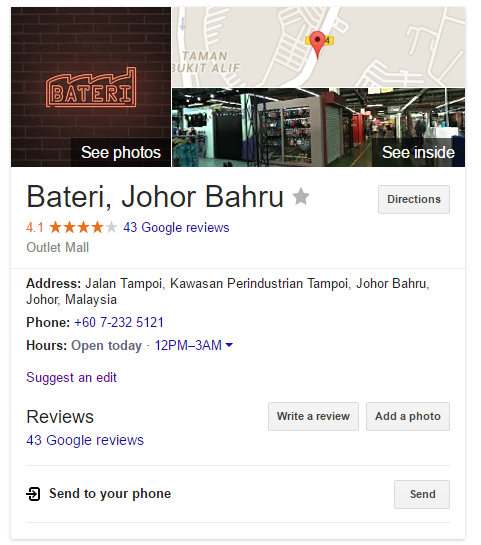 #notetoself, let bygones be bygones and do proper research next time. Anyway, my friends and I didn't get to try any of the awesome hipster food that we saw online. Full Tank's kitchen (the one and only restaurant that was still taking in customers) was already closed when we got there at midnight, so we could only have drinks. Oh well. But we did enjoy the lovely ambiance though. I wish we came earlier. It was so heartbreaking to see 95% of the shops closed when we arrived at midnight but despite the disappointment, I loved loved loved the hipster vibe, the fairy lights.. simply just the whole ambiance that the whole place gave. I will be back here (for sure, this time in broad daylight) to try as much food as I can and then write a proper post with photos of food that might make you salivate. Bobby ended up driving over to our favourite chill-out place (Banafee Village) that is still always open to satisfy me and my cheesy cravings. We even caught the Real Madrid vs Arsenal game, so all is well again with the world. Hehe.